An Analysis of Alternatives (AoA) is an analytical comparison of the operational effectiveness, suitability, and life-cycle cost of alternatives materiel solution that satisfy an established capability need identified in an Initial Capabilities Document (ICD). It focuses on identification and analysis of alternatives, Measures of Effectiveness (MOE), schedule, Concepts of Operations (CONOPS), and overall risk. An AoA also assesses Critical Technology Elements (CTEs) associated with each proposed materiel solution, including; technology maturity, integration risk, manufacturing feasibility, and technology maturation and demonstration needs. The Technology Development Strategy (TDS) should highlight how the risks identified in the AoA areas are going to be addressed and minimized in the Technology Maturation & Risk Reduction (TMRR) Phase and on the path to full manufacturing capability in the Production and Deployment (PD) Phase. 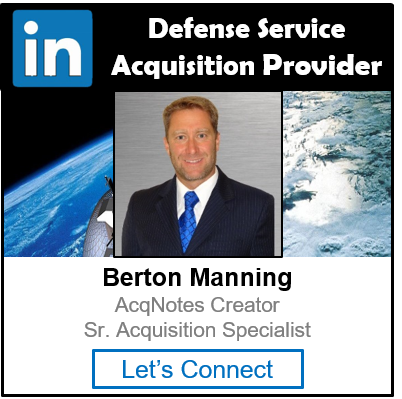 An AoA should be updated and performed in each acquisition phase and throughout the lifecycle of a program to guarantee that the correct materiel solution is being developed. The update should be used to refine the proposed materiel solution and reaffirm the rationale in terms of cost-effectiveness. A comprehensive rationale for the proposed materiel solution(s), based upon the AoA that evaluated relative cost, schedule, performance (hardware, human, software), and technology risks. STATUTORY: for MDAP, Major Automated Information System (MAIS) programs, and all Automated Information Systems (AIS) programs, including National Security Systems (NSSs), at Milestone A. Updates required through Milestone C (or Milestone B if there is no Milestone C) for MAIS programs, and all AIS programs. REGULATORY: for all other specified Program Type/Event combinations. For potential and designated ACAT I and IA programs, the Director for Cost Assessment and Program Evaluation (DCAPE) prepares study guidance for Milestone Decision Authority (MDA) review and approval at the Materiel Development Decision (MDD). The Milestone Decision Authority will determine if a new or updated AoA in needed after Milestone A. Make sure you know the AoA requirements during each phase.